Quality Forestry and sustainable logging on the central coast of California. Big Creek Lumber’s forest management objectives are influenced by philosophy and a decades-old respect for our local forests. At the founding of the company in 1946, we envisioned managing forest resources in a manner that was sustainable from both a business and environmental perspective. Since we first began harvesting timber over seven decades ago, our company has been at the forefront of pioneering many progressive and protective forest management practices. 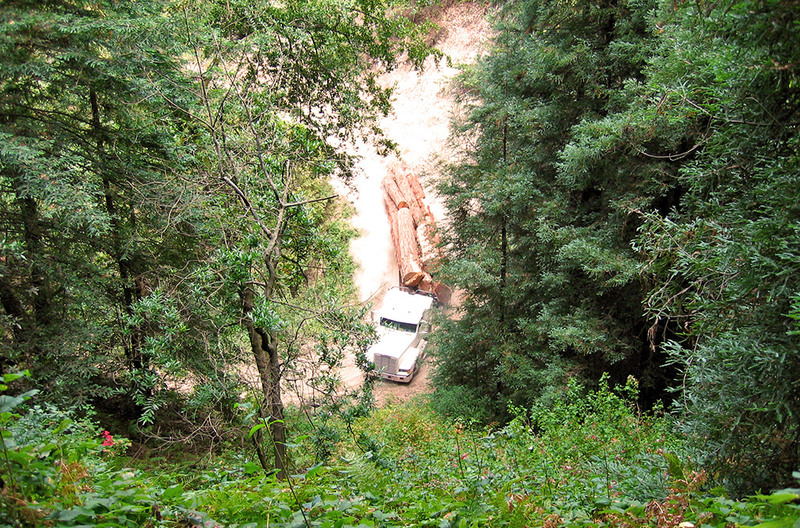 Over the years, a number of these practices have been adopted as state regulations specific to timber harvesting operations in Santa Cruz, San Mateo and Santa Clara counties. These practices include the use of selective harvesting, riparian setbacks, improved road design to minimize erosion, and special methods for treating logging slash. Big Creek Lumber’s commitment to practicing responsible forest management has garnered many commendations over the years, including the prestigious Francis H. Raymond Award “In Recognition of Outstanding Contributions to Forestry in California” from the California State Board of Forestry and Fire Protection, and the “Private Sector Award for Outstanding Wildlife Conservation” from the California Department of Fish and Game. We are also the first wood products company operating in a redwood forest to have company lands awarded the “Well Managed Forest” certification by the Forest Conservation Program of the Forest Stewardship Council (FSC)®. Valuable educational opportunities in resource management. Big Creek Lumber is able to provide you with customized forestry services through our strong working relationships with government agencies. For land owners interested in managing the timber on their property, Big Creek Lumber’s skilled and professional forestry staff offers a complete package of forestry services. These services include resource assessment, development of timber harvest plans, oversight of harvest operations and purchase of logs. Big Creek Lumber is able to provide you with customized forestry services through our strong working relationships with government agencies, other forest landowners, and the local community by utilizing either our own highly skilled logging crew or qualified contractors. Big Creek Lumber does not offer residential tree removal, however we frequently purchase redwood logs from these tree removal projects. You can work with a local licensed timber operator who can be able to help you with obtaining the proper permits. For the most current list of licensed timber operators see the most current list of licensed timber operators here. Our team is comprised of a diverse group of talented individuals with a wide range of experience who are dedicated to fulfilling Big Creek Lumber’s long-term commitment to responsible forestry. Received a Bachelor of Science in Forest Management from Humboldt State University in 1983. As a McCrary family member and Big Creek Lumber owner, Janet brings a wide perspective of the forest products industry to the department. Received a degree in Forest Management from the College of the Redwoods. Bob has over 40 years of forestry operations experience with Big Creek Lumber. Received a Bachelor of Science in Forestry from California Polytechnic State University in 2000 and spent several years working in the University’s forestlands in Santa Cruz County. Harlan worked as a consulting forester in Sonoma County for 7 years prior to joining our team at Big Creek Lumber. Received a Bachelor of Science in Forestry and Natural Resources from California Polytechnic State University in 2015. Dennis grew up in Swanton only a stone’s throw from Big Creek Lumber’s sawmill. Dennis comes to our forestry staff with experience from Big Creek Lumber’s logging crew and his time spent cruising timber in the Sierra Nevada. Received a Bachelor of Science in Forestry and Natural Resources from California Polytechnic State University in 2016. Kevin brings his experience in selection forestry and forest ecology research. Received a Bachelor of Arts from Utah State University in 1973, PhD candidate, University of Utah. Bob spent 21 years as a timber faller, including 10 years as head timber faller for Big Creek Lumber. Bob has worked at Big Creek for over 35 years. 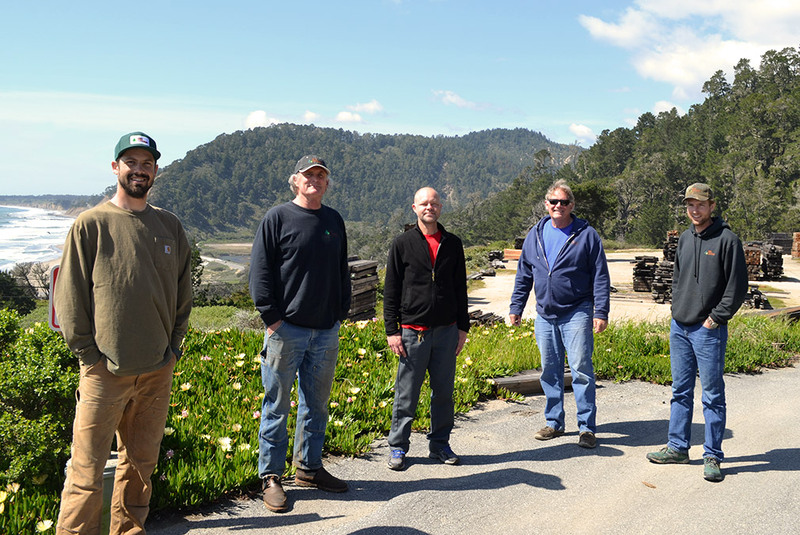 When you combine the hands-on experience of our foresters, it adds up to over a century of experience, providing the greatest depth of forest management knowledge in the Santa Cruz Mountains. Our forestry staff participate in a wide range of organizations including the California Licensed Foresters Association, the California Forestry Association, Forest Landowners of California, the California Farm Bureau Timber Advisory Committee, the California Redwood Association, the Central Coast Forestry Association, the Santa Cruz County Farm Bureau, the Santa Cruz County Fire Department Advisory Committee, and the California Polytechnic State University Department of Natural Resources and Environmental Science Advisory Committee.